Chevrolet is a true American automaker and proudly stands with the U.S. troops, providing them with the vehicles they desire at a price that recognizes their service. Chevrolet and its dealerships across the country wish to recognize the troops, and that’s why there is the Chevy Military Program and Discount. This discount extends to Active Duty members, Reservists, National Guard members, Veterans (within one year of discharge), and Retirees of the U.S. armed forces, including the Army, Navy, Air Force, Marine Corps, and Coast Guard. To receive the discount, simply go to gmmilitarydiscount.com and register. You will then get a discount authorization code, which you can take to your local dealership to purchase your new vehicle. You can apply the discount to whatever vehicle you choose, such as a Special Ops Edition of the Silverado 1500, which features a naval-inspired design, or the Colorado ZH2, which was developed collaboratively with the U.S. Army. At Wilson GM, we provide an additional benefit to service members: in the event that you are called to active duty, we will happily take back any leased vehicles. 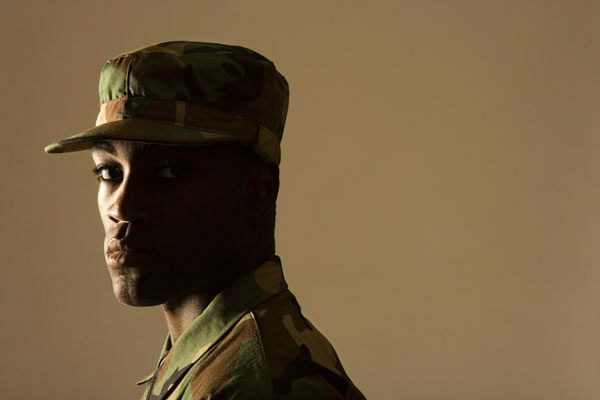 This falls in accordance with the Service Members Civil Relief Act (SCRA), which was established in 2003 and grants legal protections to members of the United States Military and allows military members to terminate automobile leases in certain circumstances. Wilson will happily help you carry out this process as you prepare to leave for active duty. Chevy’s support of service members extends beyond vehicle discounts. The automaker also actively supports service members and their families by partnering with Wreaths Across America, as well as proudly taking part in the Hiring Our Heroes Program. Wreaths Across America works tirelessly to make sure that fallen heroes are memorialized and those still serving are supported. One of their main initiatives is laying a quarter of a million wreaths per year at cemeteries across the country, and Chevy is proudly donating 4,000 wreaths and 12 vehicles for a Veterans Parade from Maine to Arlington. Wilson GM in Stillwater, OK & GM as a whole is also a corporate partner of the U.S. Chamber of Commerce’s Hiring Our Heroes Program, which helps veterans find employment after returning from service. Both Chevrolet and the entire staff here at Wilson GM are proud to offer these exceptional services and support to military men and women, giving back to those who serve us day in and day out. 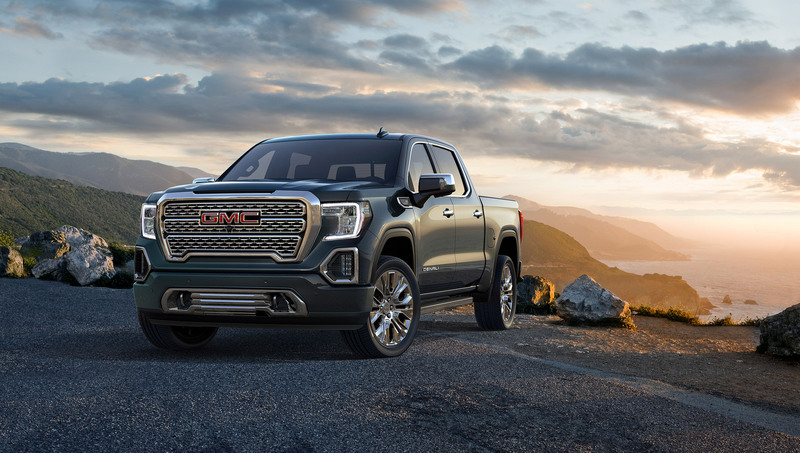 The all-new 2019 Sierra AT4 easily beats out the competition with its innovative blend of off-road capability and ruggedness. This vehicle reaches the pinnacle of what you could want in a full-size pickup truck, offering superior performance, capability, innovative technology, and a bold style. The Sierra AT4 marks the beginning of the AT4 brand, which will extend to the entire GMC vehicle lineup during the next couple of years. With the 2019 Sierra AT4, you’ll want for nothing. It comes with numerous standard features that every driver will be thankful for, including a suspension lift, 4WD, off-road-tuned shock absorbers, 18-inch wheels, all-terrain tires, Hill Descent Control, and Traction Select System. The Traction Select System allows you to choose the drive mode best suited to the current road or driving conditions, allowing you and your Sierra AT4 to easily handle harsh weather and rough terrain. The system optimizes performance by adjusting various components, including the Sierra’s transmission shift points and smart StabiliTrak system. The Sierra AT4 also offers various available features that you can choose from, including a segment-first Multi-Color Heads-Up Display, an industry-first Carbon Fiber Pickup Box, and numerous advanced safety features. The Carbon Fiber Pickup Truck is designed to maximize the Sierra AT4’s durability and efficiency, as the carbon fiber material is both light and remarkably strong. 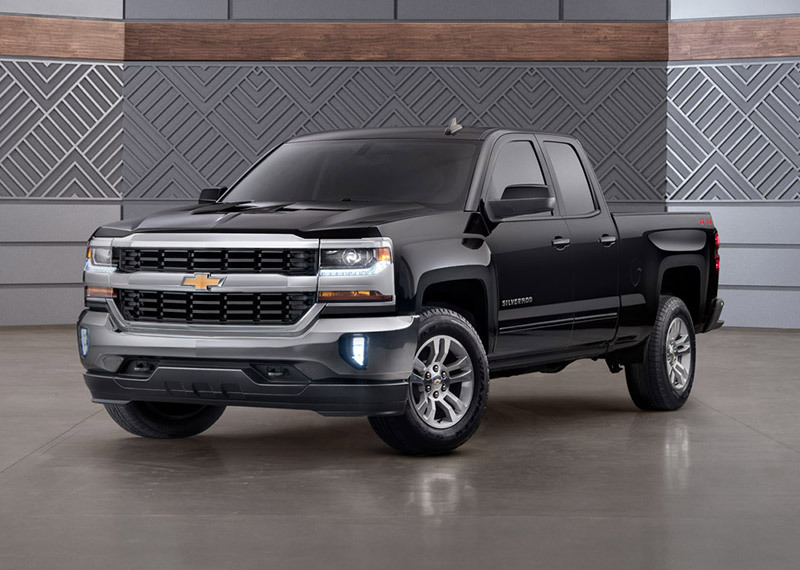 The 2019 Sierra AT4 is powered by a standard 5.3-liter V8 engine, but you can kick up the power further if you opt for either the available 6.2-liter V8 engine of the Duramax 3.0-liter inline-sic turbo-diesel engine. Both of these superior engines come paired with a 10-speed automatic transmission with powerful and smooth shifting. Learn more about this exciting new addition to the GMC lineup with a visit to Wilson GM in Stillwater, OK.
Buick has been revamping its entire lineup over the past few years, and what better model to set the luxury brand apart than a wagon? The 2018 Buick Regal TourX could very well be what the automotive industry needs. 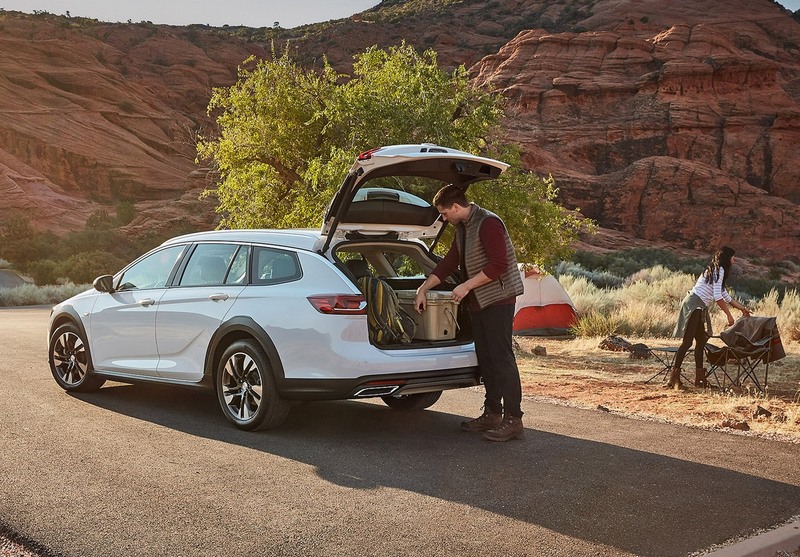 With all the hype around SUVs and crossover, the Buick Regal TourX wagon offers a true alternative to larger SUVs. Wagons haven’t seen much love in the United States in recent years, but the Buick Regal TourX looks to change their reputation. The European-style wagon features plenty of interior space, on par with that of an SUV, and a roofline that allows drivers to load larger cargo, like bicycles, with ease. All Buick Regal TourX models feature a turbocharged engine and 18-inch wheels, both of which are often reserved for crossovers and SUVs. Additionally, a higher ride height and all-wheel drive sets the wagon apart from sedans. Twin tail pipes are integrated into the rear bumper for extra sportiness, an aesthetic we here at Wilson GM enjoy very much. In terms of style, the Buick Regal TourX is a sporty car with plenty of luxury to offer the right driver. Like all Buick models, premium materials and an ergonomic design, complete with a seven-inch touchscreen, set the Buick Regal TourX apart from competitors. On the outside, its rugged look and athletic styling are comparable to crossover competitors. Come to Wilson GM in Stillwater, OK and see one up close for yourself! Sometimes straying from tradition is a good thing. 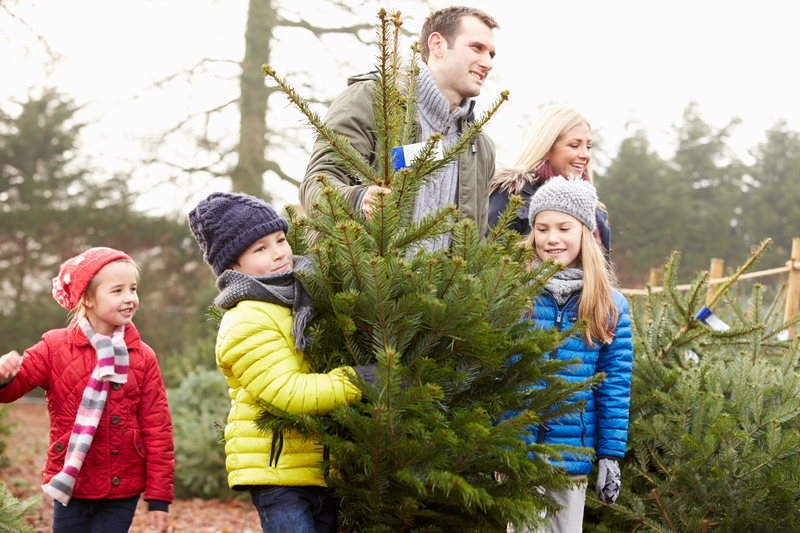 At Wilson GM in Stillwater, OK, we’ve found that these alternative Christmas trees sound like just the right Holiday projects for our crafty friends, and it may save you some money compared to purchasing and cutting down a traditional Christmas tree this year. This tree is an easy DIY project that can even be done with leftover pieces of wood from building furniture or other projects. Just create a simple tree-shaped wooden frame with a few supportive crossbeams to mimic lights, then decorate with your ornaments for a minimalist feel. Take any kind of light board, such as fiberboard and have it cut in the triangular shape of a tree. You can paint it as you like—anything from red to light blue to green—and it’s easy to simply lean on the wall and decorate like you would a normal tree. Chalkboard paint is fun to use in the home anytime—especially when you have kids. Painting one wall with chalkboard paint allows you to redraw your year every year—even every day, if you want—and then use it for all of your other creative needs throughout the rest of the year. Thousands and thousands of people will be hitting the road soon for their annual Holiday visits. There will be whole families, young couples, and individual students driving home from school to visit their parents over Thanksgiving and Christmas. If you’re driving home this Holiday season, use these tips from Wilson GM for safe Holiday Travels along the way. Before you head out, take a quick look at the weather forecast and at the current radar. Watch for any potential storms heading in the direction of your route. If possible, consider waiting it out, or go into your drive prepared to take your time. Be sure to equip your vehicle with important safety tools, too, like extra food and water, reflective cones, and jumper cables. Whether you’re driving in the rain or in the middle of a sunny day, it’s always important to take the necessary steps to ensure that you’re 100% visible. Clean your headlights before you depart, and make sure that all headlights and taillights are working properly. 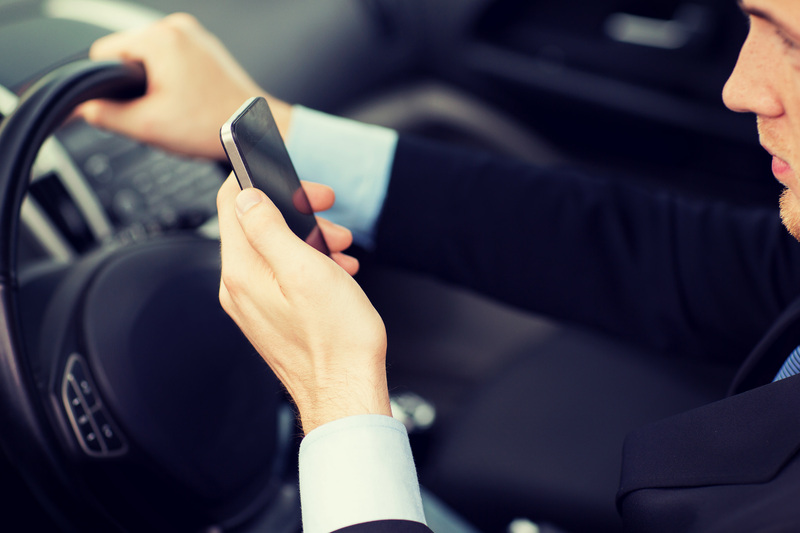 You know that cell phones are dangerous distractions in cars, so why tempt yourself? Put your cell phone where it cannot be reached from the driver’s seat so you won’t be tempted to peek. It’s a good idea to take frequent breaks when driving long distances anyway, so allow yourself time to stop every couple of hours for a break and a social media check. Do you agree? Tell all of us at Evansville Genesis in Evansville, IN in the comments below! Getting together with the family for a night of fright, thrills, and candy can make any Halloween one to remember. 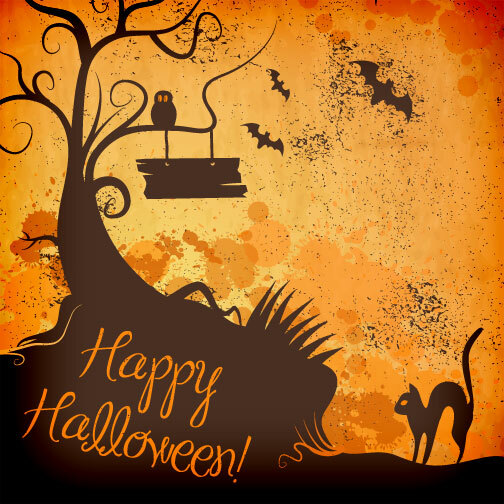 Here are some fun family Halloween activities recommended by us here at Wilson GM of Stillwater. Stay in for the night and watch a Halloween classic, like The Nightmare Before Christmas, Casper, or Hocus Pocus. Family-friendly movies are a great way to give your kids a taste of the thrill that Halloween has to offer without giving them nightmares they’ll never forget. You could even go the extra mile and invite some friends over for a horror showing once the kids are tucked away in bed. Like any holiday, Halloween has its own set of recipes, but you don’t have to be a master chef to make some scary delights. Something as simple as making olives into eyeballs can put a spin on dinner to make it a little different from the ordinary meal. It may not seem like a way to make Halloween memorable, but a trip to the library in your crossover can make the holiday much more fun. Have the kids pick out some spooky bedtime stories. They can read the books themselves or have you read the books to them as they lay their heads on a pillow on the scariest night of the year. The 2018 Chevrolet Silverado 1500 is a full-size pickup that’s as capable as it looks. The new model arrives with quite a few updates across the board. 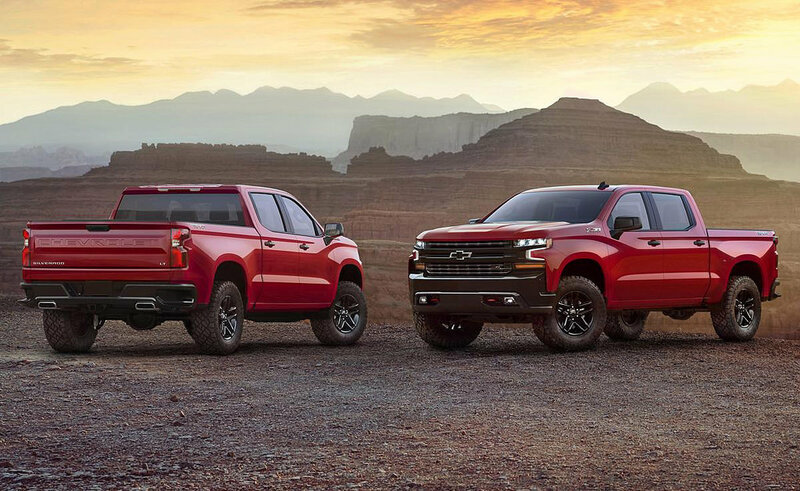 Notably, the current Chevrolet Silverado 1500 will be the last model in its generation as the 2019 model year promises an all-new model. Here’s a little more information about the Chevrolet Silverado 1500 from us here at Wilson GM. 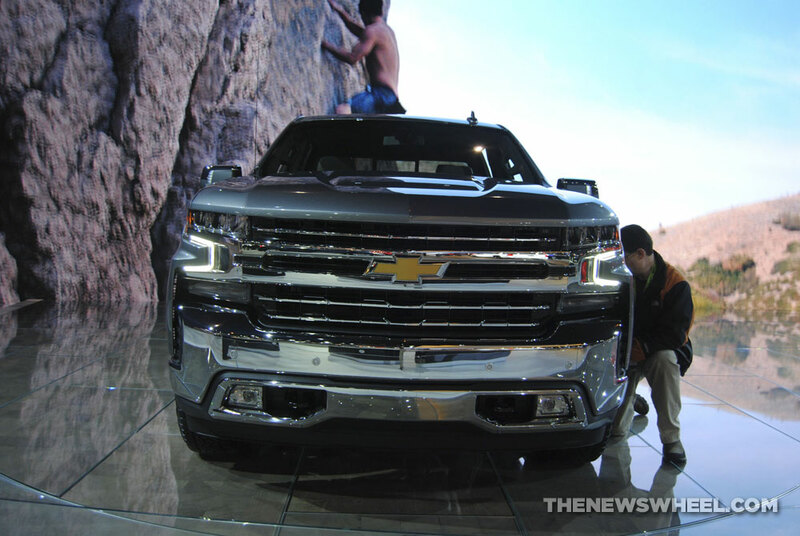 The 2018 Silverado 1500’s exterior doesn’t see much in the way of changes. Properly equipped models will feature a Z71 and 4×4 decal on the side of the box. Inside, drivers will enjoy the new standard six-speaker audio system across all models. Hands-free connectivity, an infotainment system, and seven-inch touchscreen come standard across all models as well. All 2018 Chevrolet Silverado 1500 models will come equipped with a Rear Vision Camera, too. The LS Convenience Package bids farewell for the 2018 model year. The available 11-bolt power outlet is now available as a separate option. 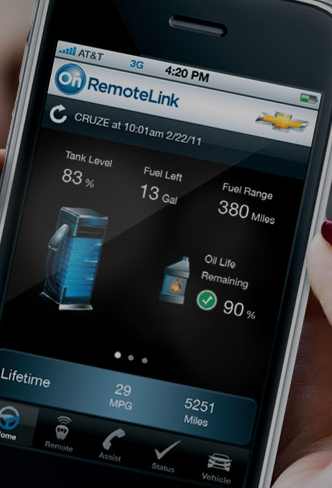 The Tire Pressure Monitoring System now features Tire Fill Alert at no extra charge to consumers. In other news, the 2018 Chevrolet Silverado 1500 says goodbye to the Siren Red Tintcoat and Pepperdust Metallic colors. They’ll be replaced by Cajun Red Tintcoat and Havana Metallic paintjobs.